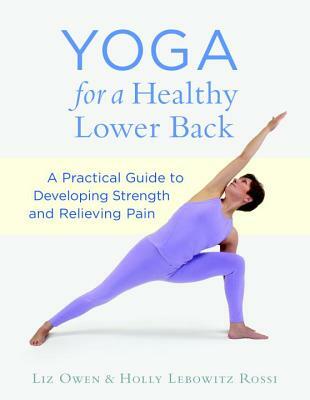 Learn to understand lower back pain and heal it through gentle yoga exercises. Liz Owen, a yoga instructor who specializes in alleviating back pain, describes the anatomy of the sacrum and the region around it, including the hips and lumbar spine. She discusses both the Western and Eastern approaches to understanding back pain—particularly the Eastern medical notion of energy flow and how that relates specifically to the sacrum and the many related muscles and joints, and the chakras, or energetic points, that relate to the area. The sacrum, or lower back, is an incredibly powerful part of the human anatomy. It's what enables you to stand upright and tall, it unites your upper and lower body, it roots you to the earth, it is the foundation from which you reach upward—and it is one of the most common areas where people experience chronic pain and discomfort. It's probably the number one body part that keeps massage therapists, chiropractors, and acupuncturists in business. Owen then provides simple, easy-to-learn sequences of yoga poses for general sacrum health and then for specific problems. The last section looks at strategies for sacrum health related specifically to pregnant women and those with fibromyalgia or arthritis. Holly Lebowitz Rossi is a freelance writer whose articles on religion, health, wellness, and happiness, have appeared in Newsweek, Spa Finder, Tango Magazine, the Washington Post, Slate.com, Parents.com, and Beliefnet.com. She is also a student of Liz Owen, whose methods she credits with eliminating her own lower back pain.